Shabbat services are held on Friday evenings at 7:30 pm, on alternate weekends. Check the calendar for specific dates. Holidays and festivals are celebrated at appropriate times and are always enhanced by traditions that various members bring to the community. The outside bulletin board, The Tablet (our temple newsletter) and e-mail are all utilized to bring you detailed information about service times, as well as our other activities. 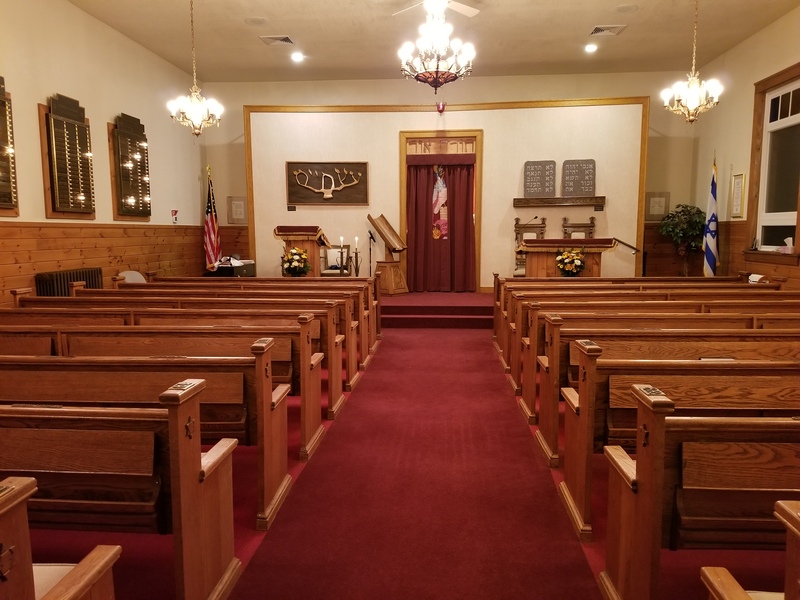 Temple B’nai Israel was founded at the turn of the century and has had a rabbi since the 1920s. The original building was dedicated in the late 1930s, the Max Chertok Social Hall was built in 1955 and the Nathan and Jennie Brindis Learning Center, consisting of classrooms and a library, was completed in 2001. A special section of the Union Cemetery in Laconia was consecrated for the exclusive use of Jewish burials in 1986. Guests and friends are always welcome at Temple B’nai Israel. We encourage visitors to identify themselves to the Rabbi or other members of the congregation so that we can welcome you.